The Yankees limped into Chicago to kick off their series against the White Sox on Monday having lost five games in a row including an agonizing four-game sweep at the hands of the Boston Red Sox. 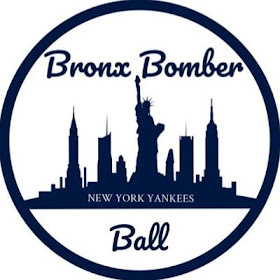 Even though the Yankees have been struggling of late and they still will likely be without Aaron Judge and Gary Sanchez for a few more weeks, they are now entering a favorable part of their schedule and the opportunity to get back on track is within their grasp. 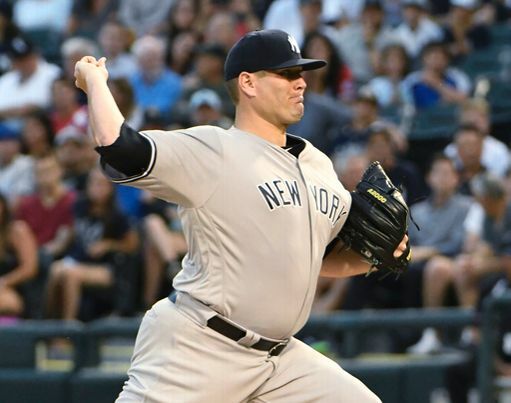 The Yankees kicked off their series with the White Sox on Monday by snapping their losing streak with a 7-0 win behind a few timely hits and more importantly, a brilliant pitching performance by Lance Lynn. The Yankees offense largely no-showed this weekend against the Red Sox and it looked like the trend may continue into Monday night’s game. The Yankees went hitless for the first 3.1 innings of this game, but when they did get a base runner they were able to break through and push a few runs across. 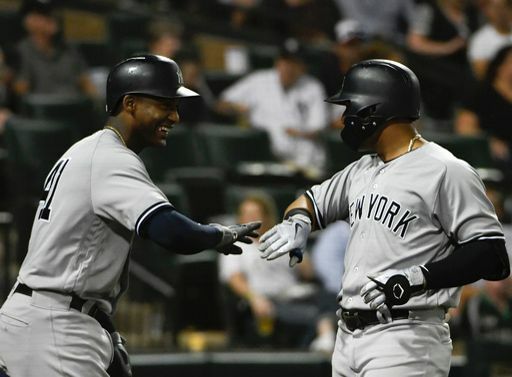 With one out in the fourth, Giancarlo Stanton walked and that was followed up with 3 consecutive hits by Didi Gregorius, Aaron Hicks and Gleyber Torres. Those hits staked the Yankees to a 2-0 lead but it could have been more. Greg Bird came up with two men on and hit a ball to dead center that would’ve been a three-run homer if it had not been for a sensational robbery by Adam Engel. The Yanks added two more runs in the fifth inning when Kyle Higashioka singled, moved to third on a hit by Brett Gardner and then scored on a wild pitch by White Sox starter Dylan Covey. A Didi Gregorius RBI single brought home Gardner to plate their fourth run and give Lynn a 4-0 lead to chew on. They would cap their scoring for the evening with a three spot in the seventh inning on a solo homer by Gleyber Torres and a two-run shot by Neil Walker. The homers are always nice, but it was even better to see the offense string some hits together in this game so hopefully that continues. While the offense was doing their job, Lance Lynn was utterly dominating the Sox in his first turn as a member of the rotation. After throwing 27 pitches in the first inning, Lynn was able to make it through 7.1 shutout innings on 108 pitches. At one point he retired 19 batters in a row and scattered just two hits, one in the first inning and the other in the eighth. 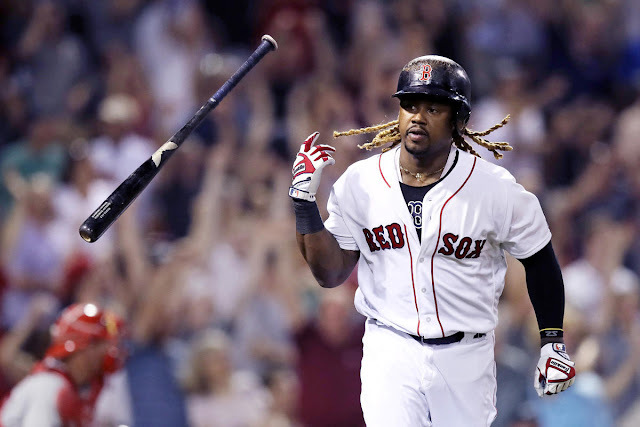 He was able to give the Yankees the length that they desperately needed on this night and hopefully Lynn’s outing as well as J.A. Happ’s impending return later this week can help stabilize the rotation as the Yankees look to return to their winning ways. With the score 7-0, AJ Cole relieved Lynn and recorded the final five outs to secure the win for the Yankees. The Yankees and the White Sox will face off again on Tuesday at Guaranteed Rate Field. 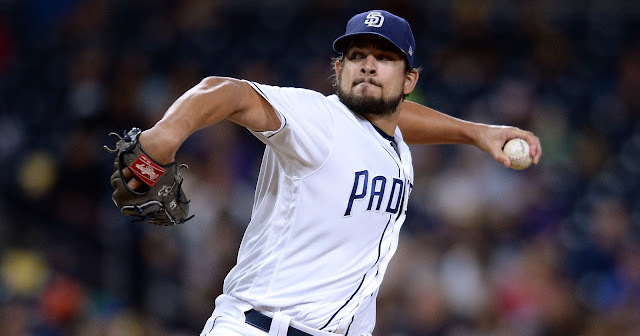 The first pitch will come at 8:10 pm on the YES Network and the probable starters are CC Sabathia (6-4, 3.59 ERA) and Reynaldo Lopez (4-9, 4.47 ERA).